Great lengths: At 10ft (3m), the cord length is optimized for using with hard-to-reach USB ports and out-of-sight wall chargers. 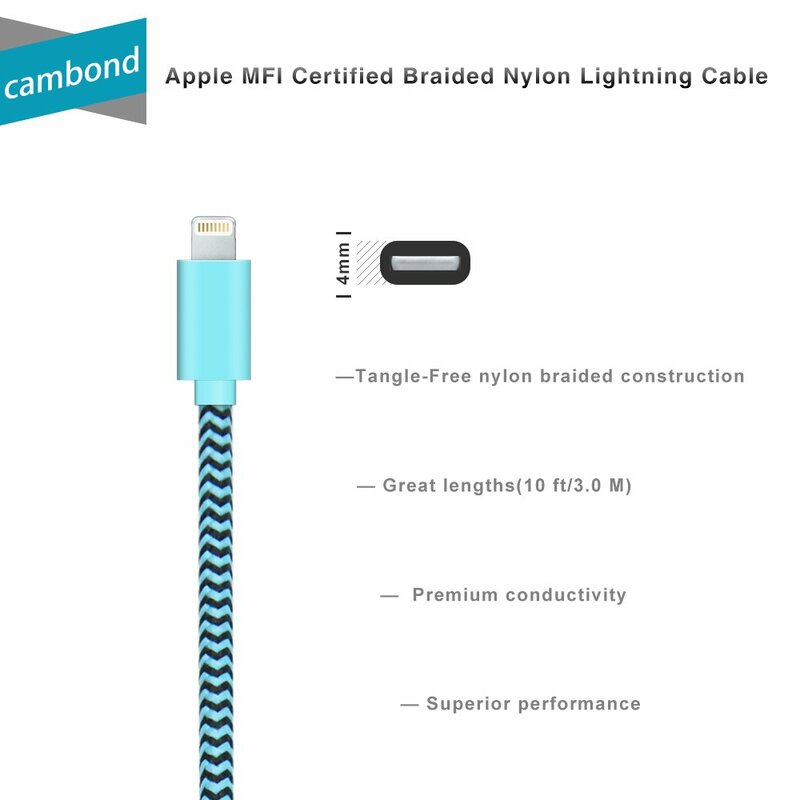 What You Get: Cambond® 10ft(3M) Colorful USB Cable with Lightning Connector, welcome guide, our fan-favorite 12-month warranty and friendly customer service, easy-to-reach support. Please check the size (0.41in * 0.24in / 10.5mm * 6.0mm) illustrated on the product image if you have a case on your Apple device, but you could rest assured that it will fit the vast majority of cases on the market. 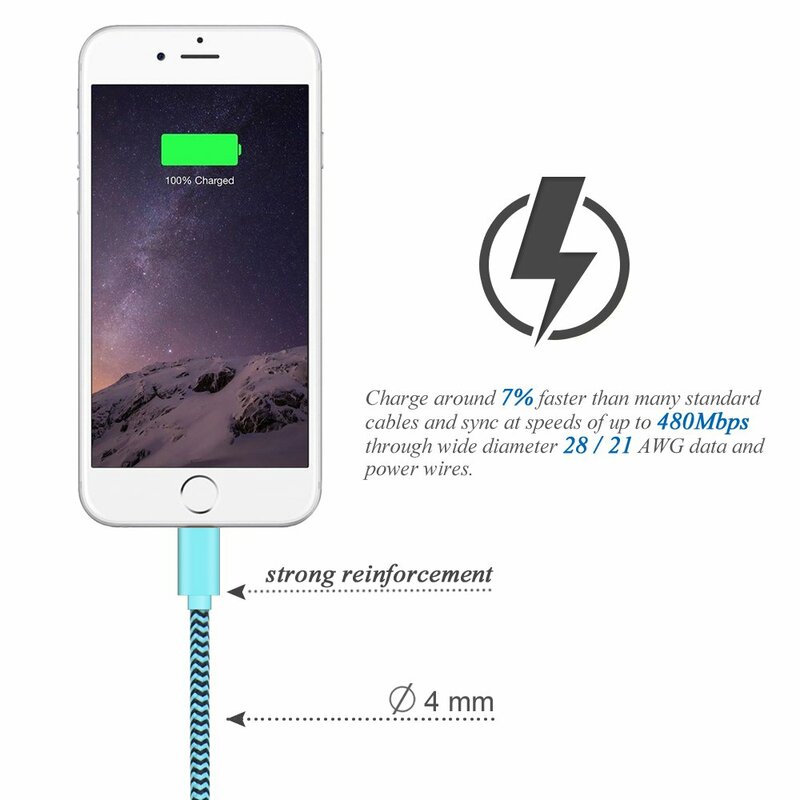 I love this Cambond® 10 ft Lightning Cable! Not only is it a really pretty color but it works great. It comes in a few color choices and really comes in handy being 10 feet long. I am notorious for letting my phone battery run down, so I often have to use it while it's charging and am tied down to a corner in the kitchen while it charges. I love that I can plug this in and use it in bed or while on the couch because the cord reaches! This is a wonderful lightening cable and it works perfectly!